I don’t know about you, but I don’t always feel up to creating material from scratch for my classes. The reasons vary from feeling too tired to even open my laptop to an absolute lack of inspiration. Thank goodness, there are always people out there making our lives as teachers so much easier and generously giving away their work for free. Just for the taking. 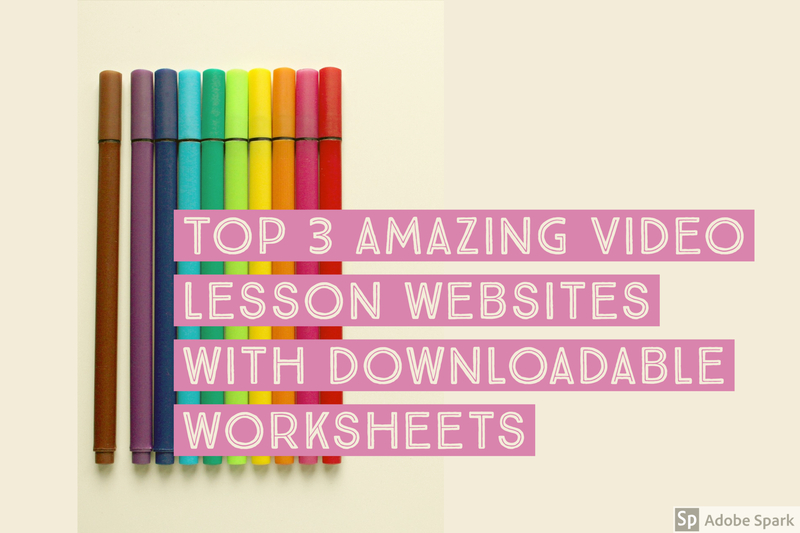 In this post, I want to share with you three of my favourite sites for working with video clips and I also want, and need, to thank the people behind these three awesome sites that not only handpick the best video clips and sort them out according to level and topic, but also offer free worksheets that make my life as a teacher so much simpler. These three are keepers. Don’t forget to bookmark them. Owned by a couple of teachers from Poland, this amazing website offers video-based lessons for level B1, B2 and C1 for free. Right now, they are looking for financial help and offer extra material if you support them by becoming a “patron”. For my next lesson on Housing with B2 students, I am going to use this video lesson, which comes complete with the downloadable student’s version, teacher’s version and even an extra warm-up exercise. It’s not the first time I have written about TedEd, owned by the popular platform TED. TedEd is a collection of original animated videos lessons. You can choose by subject and view the video in class or assign it as homework. Every video is accompanied by a lesson with multiple choice questions that check your general comprehension. If your answers are wrong, you can always check with the video hint. There is also a Think section with questions that further explore the topic. For teachers, one of the most powerful features is the Customize your Lesson area, where you can customize the lesson by editing the title, giving your own instructions, selecting or deselecting multiple choice questions…etc. 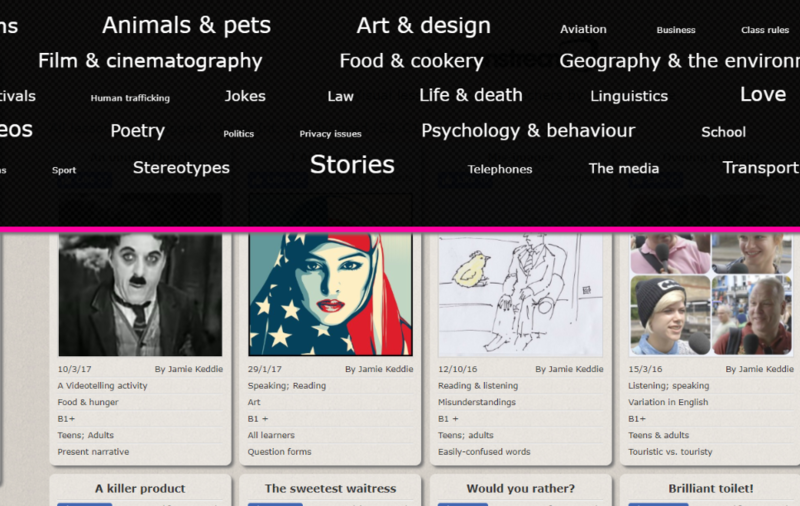 Last, but not least, is the fabulous site Jamie Keddie owns and runs with an amazing collection of video activities. On this website, you can choose by level, topic, time and many other options which help the teacher or the student find the perfect lesson in two shakes. A downloadable worksheet is offered with every lesson. Again, for free. Thanks Cristina! happy to help! I’ve been dipping into your website and using/adapting your ideas for a while now. Sp I felt it was time I said thank you and complimented you on your excellent work! I especially love the advice and hints re technology and links to websites. I’m always on the lookout for innovative ideas so often check out your blog! Thanks and keep up the excellent work!! Thanks For your comment! Do you have a blog yourself? No I don’t…though I often think of creating one! Maybe I will one day! !